This is just the right week to reminisce about the festive moments because most of us are still struggling to get back to our routine work. Two big and popular festivals Durga Puja and Diwali had kept us busy for the last few weeks but now suddenly there is a lull. Well the holidays may be over as per the annual calendar but the memories and thrills of the festivals will last for long. In fact, I will pen them down before I forget. I have some amazing festive captures from my recent trips. So it was in Punjab where it all began where I had celebrated Lohri in one of the farms of Hoshiarpur. Then for Holi, I went for a road trip to Kufri. And in the later part of the year, it was Mumbai where I cherished the pre Ganesh Chaturthi buzz of the city and then I had an opportunity to travel to Chhattisgarh where I saw the Ganesh Chaturthi celebrations in Raigarh. Soon after, Durga Puja and Dusshera gave me an opportunity to travel to Jaipur (Rajasthan). And my most recent indulgence has been experiencing the pre-Diwali buzz in Itanagar (Arunachal Pradesh) and spending a day in Guwahati (Assam) on the auspicious day of Dhanteras. Woah! Seems like I have been traveling on all the festivals. 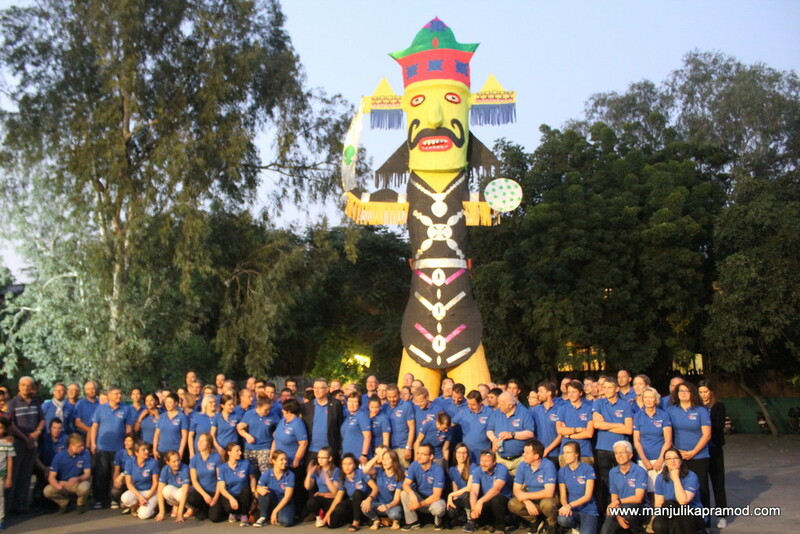 Dusshera became special in Jaipur, thanks to Clarks Amer. India is a big and vibrant country and our festivals bind us all beautifully. While most of us look forward to returning to our families and indulging in local celebrations in native towns, I like traveling to different states. Its fun to see what the other places have to offer. Our diversity and richness of culture is such that every town, village and city has something unique to offer. 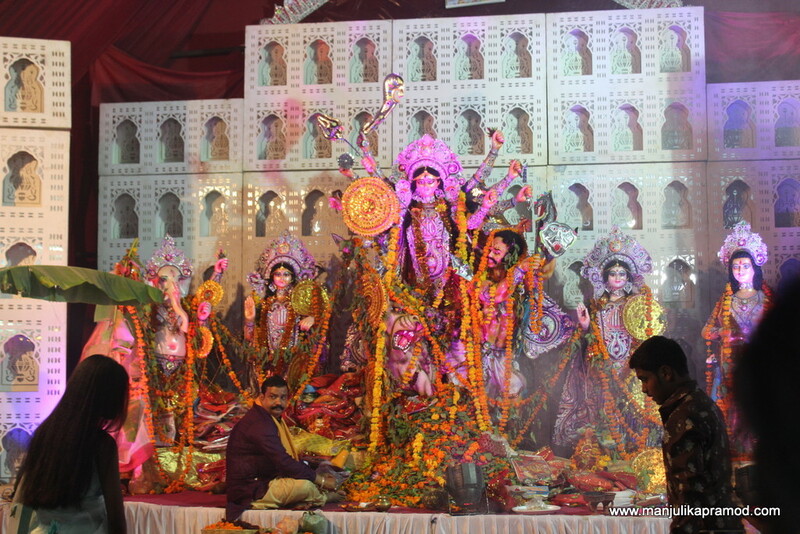 The same festival is celebrated uniquely in different corners of India. At first you might feel like an outsider but the awkwardness soon dies down as you mingle with new people. Look around and you will definitely find welcoming locals. At least in India, it is never a problem. This year’s Durga Puja will always be memorable for me. Though I wanted to travel to Kolkata to indulge in the craziness of the city, an interesting event took me to Jaipur. And it came like a blessing. 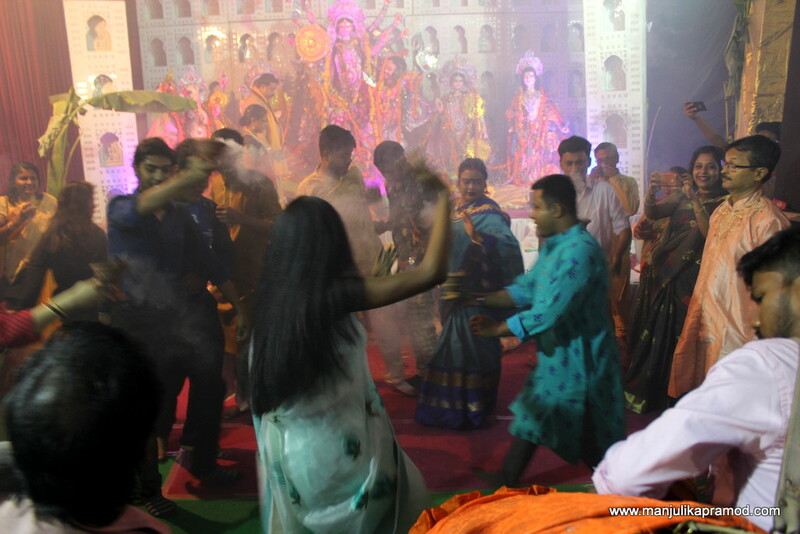 Though I am a non-bengali, I am very fond of pandal hopping. I wanted to visit a new place. And for all these years, I have also nursed the dream to learn and do dhunuchi nritya in the pandal. The rhythmic beats of Dhak (ढाक) are my favorite. This wish got fulfilled this year, at Kali Baari Jaipur. The moment I checked in at Clarks Amer Jaipur, I requested them to arrange a visit to one of the pandals since it was the last day of Puja. Looking at my enthusiasm, they immediately guided me to the Kali Bari society for the events that were supposed to take place in the evening. After taking a small nap, I along with my four other friends reached the buzzing arena. During Durga Puja, bengalis can’t keep quite and I absoluey love their dedication and passion for Goddess Durga. We reached the premises of the Kali temple just in time when the preparations for the evening aarti were in full swing. As soon as it began, the excitement and frenzy took over us and people began to dance at the beats of the dhak with dhunuchi in hand. As I mentioned, I am very fond of this dance. My love for it comes from my childhood days when I used to see my Bengali friends and their parents do this during Durga Puja in Lucknow. Coming from Delhi where CP park gets overcrowded, this pandal was a breath of relief. We could stand near the pandal and no one was pushing or falling. In fact, we could see it all very closely. In sometime we were so taken in by the festive fervor, we were inspired to dance too. We were not sure if they would invite outsiders but the people who were managing the event were extremely welcoming. They encouraged us to come and join them for the dance. If you look at the video below, you will know how much we enjoyed. Though, I am not a dancer but it was worth giving an attempt. Once you start doing, you don’t feel like stopping. I am so glad I did it. It is not important to excel in everything. Some wishes and little joys should simply be lived. I must thank Mr. Pradeep Chamaria, a fellow travel writer for capturing our blissful moments in a video. For the rest of the evening, we kept swooning over our blissful experience. Now came the day of Vijay Dashami. As per our mythology, the victory of the good over bad is celebrated by burning the effigies of Ravan, Kumbhkaran and Meghnaat. If you know Ramayana, I am sure you know how Lord Rama had fought with these demons and brought back his wife, Sita. And there lies the essence of Diwali too when the whole city of Ayodhaya was decorated with diyas and lights. I woke up lazily but when I came down for breakfast, I was very happy to see festive preparations going on in the front lawn of the hotel. 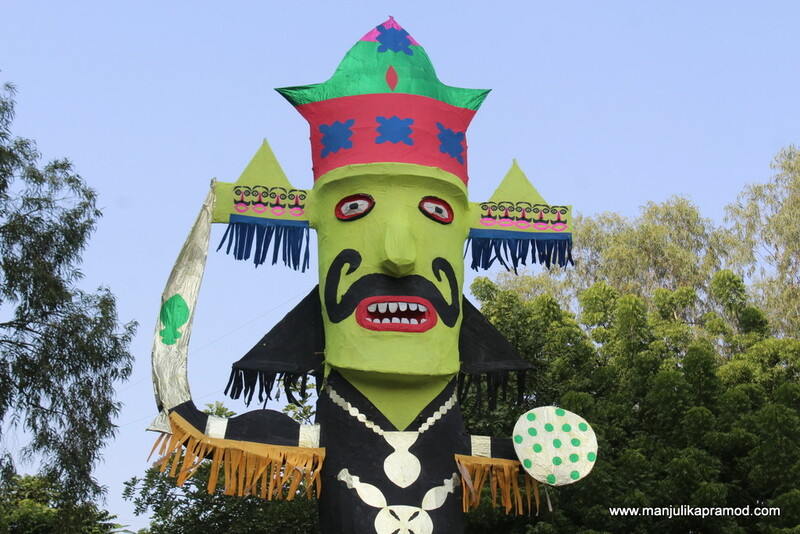 A huge effigy of Ravana was resting in the garden. It was wrapped up in bright colors, except that it had to be installed upright. I could see that the guests from other countries were extremely curious and were really looking forward to the excitement. I am sure they had no idea that it would be burned down to ashes. 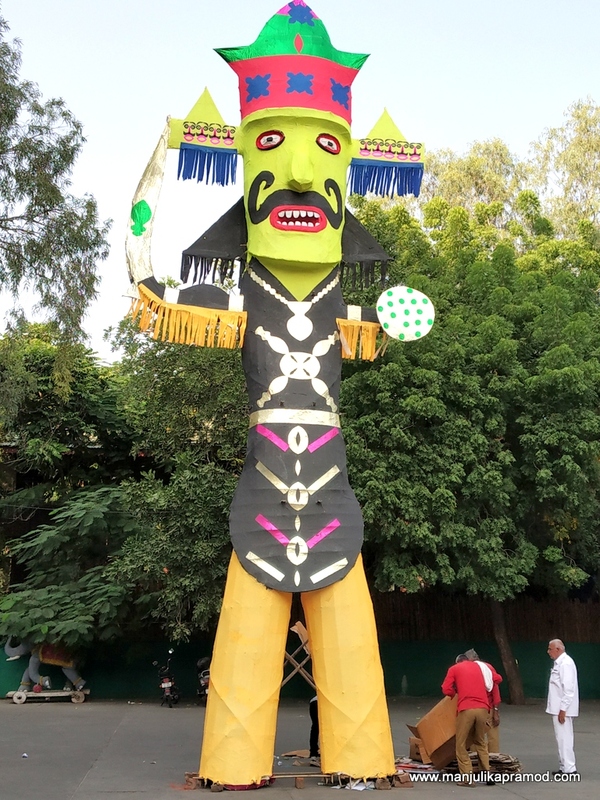 In fact, in India a number of places have one big ground which is known as Dusshera ground because the burning of effigies is an annual celebration. Evening was indeed delightful. Living the moment of Ravana daahan at Clarks seemed like a moment from my childhood. As a kid, I would never forget to request my Dad to take me to the Dusshera ground whichever city we were in. With the change in priorities in life, those true joyous moments had been lost. 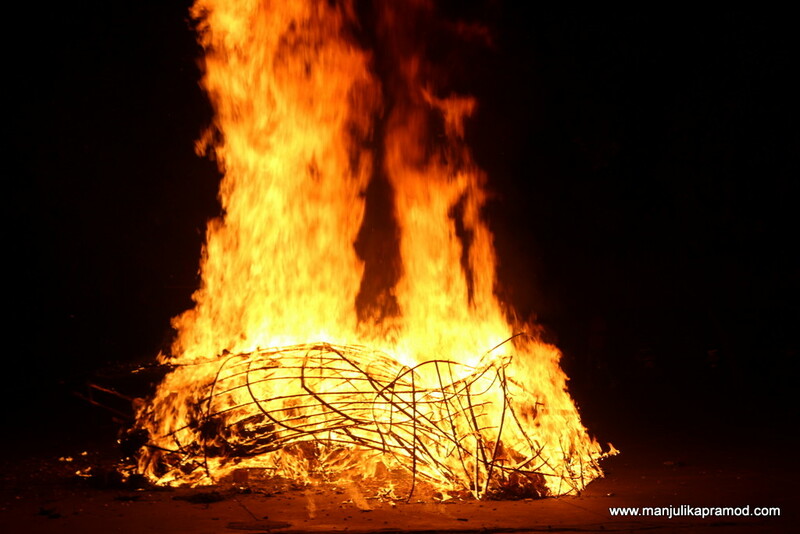 After years I saw myself cheering at the burning effigy of the demon. The guests from other countries enjoyed it too. A 90 member team of a wind orchestra band was staying at Clarks and they also joined in for the celebrations. We smiled, laughed, cracked down and slept happily. The day ended on a very happy note! And its gone!! Good wins over bad always! 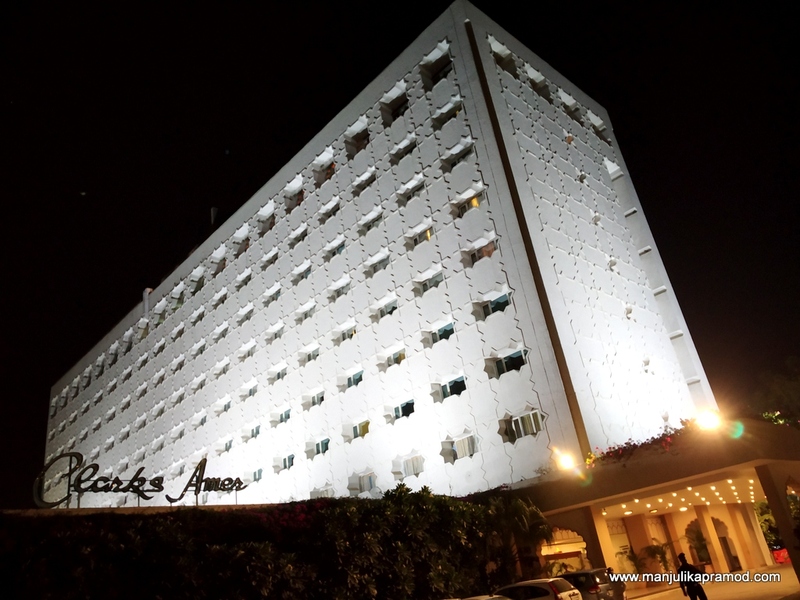 My recent Jaipur visit was made memorable by Clarks Amer! Looks wonderful. However, I love the certain “rawness” you get from the “mass” Dusshera ground. The hysteria and euphoria is something that sums up into a wonderful setting. I did spend Dusshera at a vacation resort a few years back but all of it looked too cosmetic. Like a boutique corporate Dusshera. The madness was missing. You’re amazing and inspiring.. Glad to read his post. Thank you so much for sharing a great information!!! I am in love with Indian festivals, there are so original like nowhere else in the world. I never heard of this festival to be honest but looks interesting as well. For the moment I just celebrated in Holi, Thaipusam and Pongal – all were so memorable! I loved this post! India is near the top of the bucket list, and I cannot wait to visit one day (hopefully soon). I love experiencing unique cultures and it sounds like this festival would be an amazing way to do that. Thanks for sharing! I love the concept that the same festival is celebrated differently in different areas of India. What a beautiful tangible symbol of humankind. It looks like great fun! I would love the opportunity to experience it someday! Honestly, I have never heard of these (and had to do some light googling) but they sound and look amazing! Your pictures of these events make me want to visit and experience them as you have. What an incredible amount of history and togetherness are involved in such a celebration! I’ve never been to a festival in India, but they seem very lively and exciting. And, the people seem very welcoming. I would love to see all of the dancing at the Kali Temple! I’m sure that is an amazing experience! Indian festivals are amazing, so colorful, loud and fun! I’ve never heard of Durga Puja, but it sounds just amazing. and super interesting. And then it’s in Jaipur, a place I totally love! India has so many lovely festivals. How great that you and your friends were able to get into a less crowded area. I’m glad that you allowed the frenzy to take over and let you enjoy the dancing. It feels special when you get to participate in something that you remember watching as a kid. It’s great reading all about the festivities you have been celebrating. Everything is full of color and energy! One could easily see your rich culture and great tradition from these festivals. I hope I get to witness these too, including the dance! Interesting. 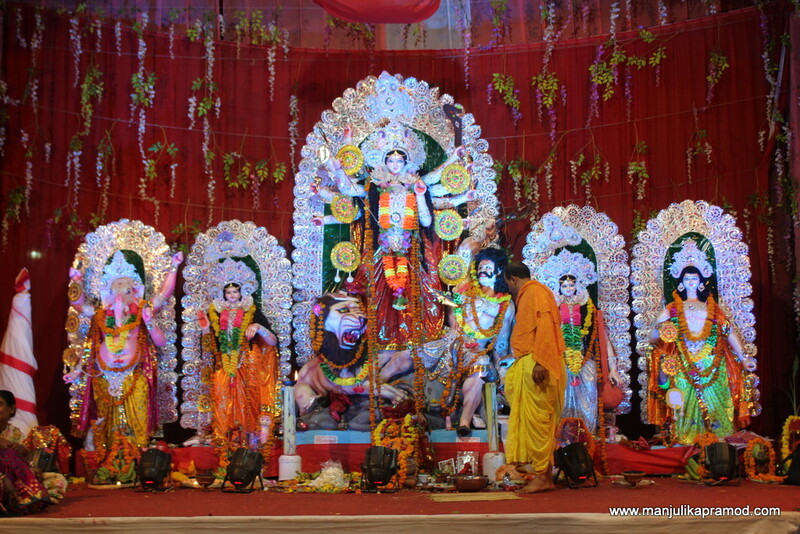 Durga Bari is one of the best place to celebrate Durga Puja in Jaipur. Next time you are in Jaipur, we should catch up!